The defense of ex-president Viktor Yanukovych explained its absence in the court on the hearing of the treason case. Vitaly Serdyuk, the advocate claimed to 112 Ukraine that the defense of the former president got the summons from the Obolon Court for the conducting of the judicial challenge of the witnesses and went to Russia. ‘At the moment, we are forced to stay in Russia. We are here because the court designated us to work as the postman, ministries of justice and we should call the witnesses. We see that the court is not interested in the hearing of our witnesses and does everything to not allow such questionings to take place. The court handed us a bunch of the summons instead of calling them personally and we were forced to do this job but not holding the questioning of the head of the security team’, he said. Serdyuk also reported that the advocates will come for the next court session on treason case on April 18. 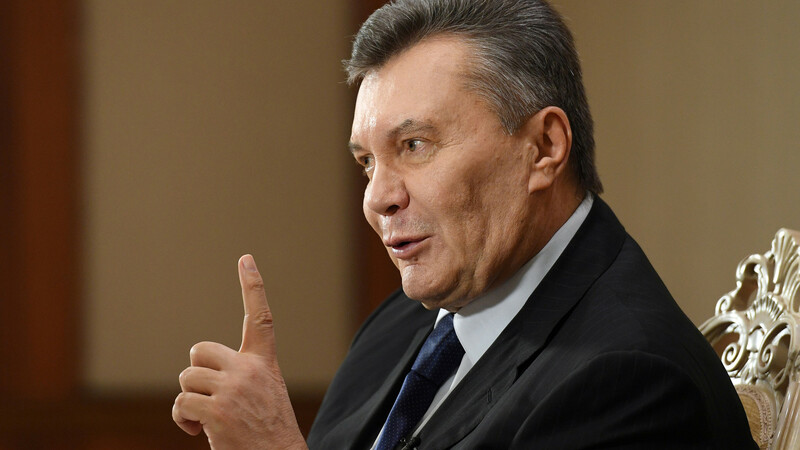 As we reported the session of the Obolon Court of Kyiv postponed the hearing of the state treason case of Yanukovych due to the absence of the lawyers until April 18. Yanukovych is charged with state treason, assistance in deliberate actions against Ukraine’s state border, sovereignty and territorial integrity and assistance in leading the aggressive war against Ukraine.